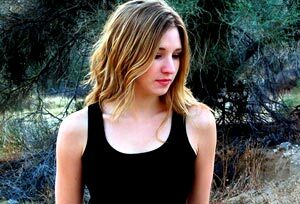 Like her Christian music peers Jaci Velasquez, Stacie Orrico, Rebecca St. James, and Rachael Lampa, Alli Rogers was poised for success at an early age. After winning a talent contest at AtlantaFest, the 16-year-old artist signed to Word Records and worked on her long-awaited debut. Before the album would ever see the light of day, however, Word was absorbed by Time Warner, and Rogers' major-label hopes came to a screeching halt when she was dropped from the roster after a host of personnel changes. But she didn't let that keep her from making music for long. Rogers teamed up with friend Donnie Boutwell to write and co-produce her well-crafted debut, Always Eden, 11 tracks showcasing Rogers' lovely voice and poetic songwriting. For added accessibility and variety, Bebo Norman also sang a few background vocals that enhanced the album's overall vibe. Now a little more than a year later, Rogers returns with her sophomore effort, The Day of Small Things, a disc that provides further evidence of the beauty of simplicity. The theme of "enjoying simple things of life" also extends to her songwriting as well.